11/12/2018. 2115. 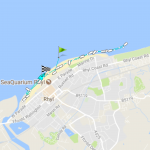 Both boats were paged and launched to a reported person in the water off Rhyl. Also involved were local coastguards, police, and the coastguard helicopter. The person was found on the beach safe. The boats returned to station at 2210. 21/10/2018. 0930 Our station boat 12-24 ON1183 ‘Lil Cunningham‘ returned to station after repairs at Holyhead Boatyard. 12-008 ON1166 ‘The Lincolnshire Poacher‘ , returned to Conwy Marina to go back into the relief fleet, after sterling work at Rhyl. 5/10/2018.0127. 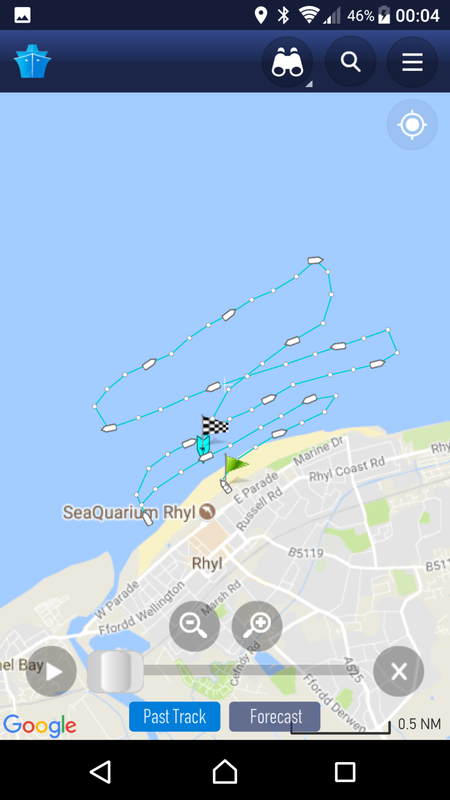 Both boats launched to assist police and coastguards searching for a male on Rhyl beach near Splash Point. They used flares and searchlights to illuminate the area. The male was located by police near Splash Point, safe. All maritime units were stood down and returned to station at 0330. 29/9/2018.1755. 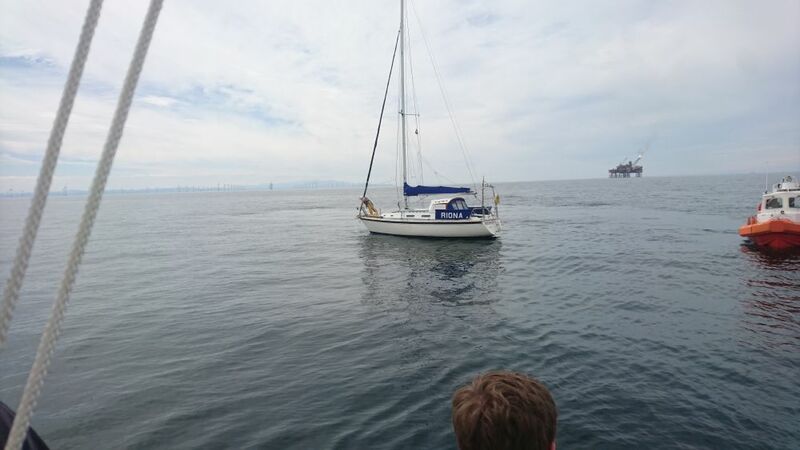 A cabin cruiser with three males on board issued a ‘Mayday’ call on their radio after their vessel lost all engine power just to the East of the Rhyl Flats windfarm. 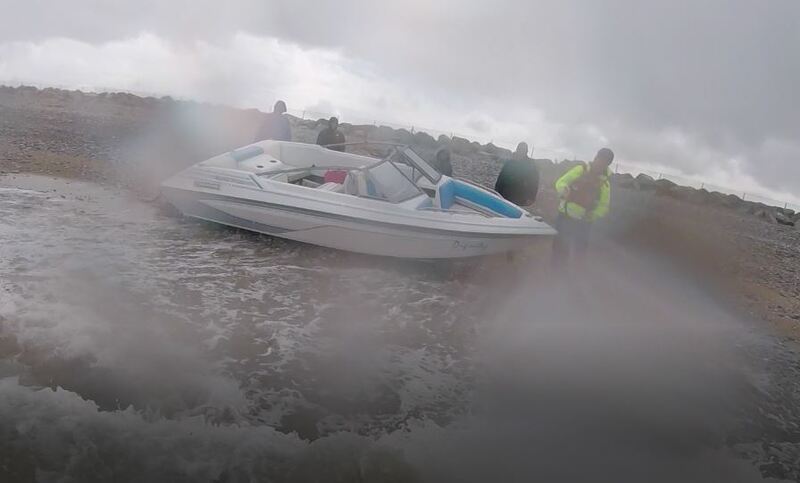 Both Rhyl and Hoylake AWBs were involved in the rescue of three persons and their 24ft motor powerboat. 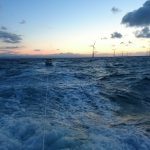 Having launched from Widnes, Cheshire, in the morning, the powerboat later suffered engine failure off the coast of Rhyl and started drifting into the Gwynt-Y-Mor windfarm area. 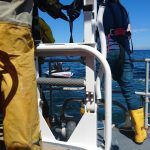 The crew were unable to anchor due to the proximity of the turbines and were concerned they might foul the subsea cables. 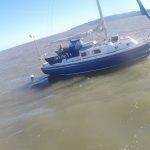 The skipper contacted UK Coastguard at Holyhead and issued a ‘Mayday’ message on the boat’s radio. 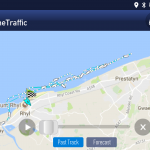 Holyhead Coastguard immediately paged Rhyl AWB to launch. 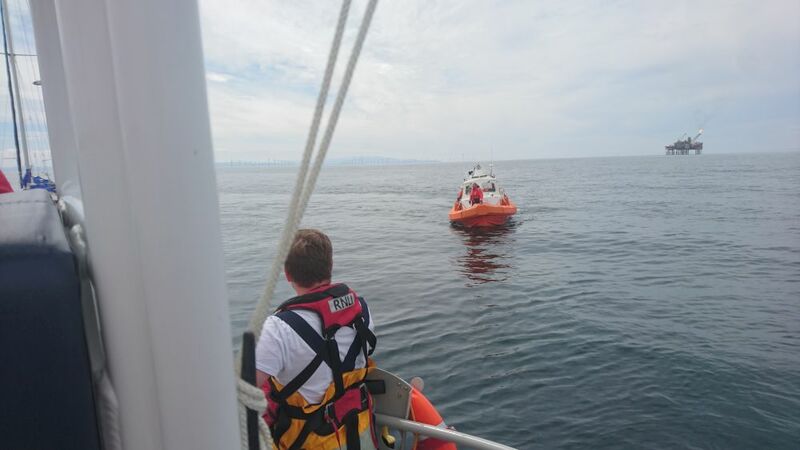 The crew located the boat about three miles northwest of Rhyl. The casualties were tired, but well. 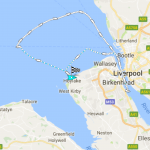 After a brief discussion between all parties it was agreed for Rhyl lifeboat to tow the vessel towards the entrance to the river Mersey at Liverpool. 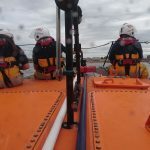 After a further discussion between the casualty, the coastguard and the crew on Rhyl lifeboat, it was agreed to request Hoylake lifeboat to assist to take the boat into the River Mersey. 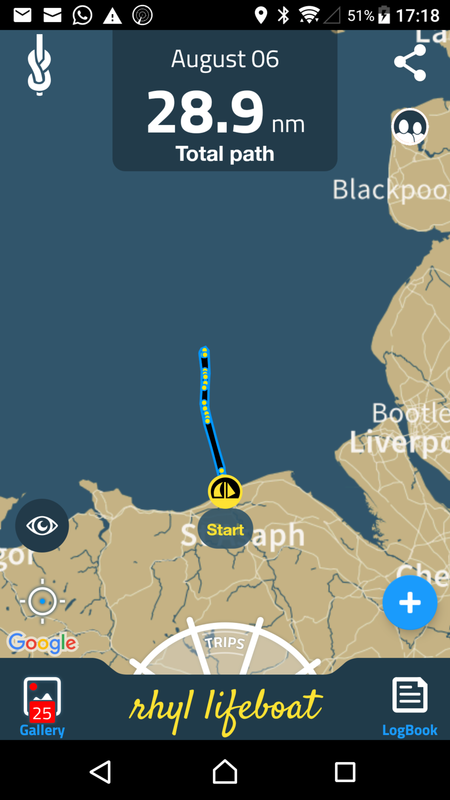 At 7:09pm UK Coastguard requested that RNLI Hoylake’s Shannon-class all-weather lifeboat be launched to take over the tow. 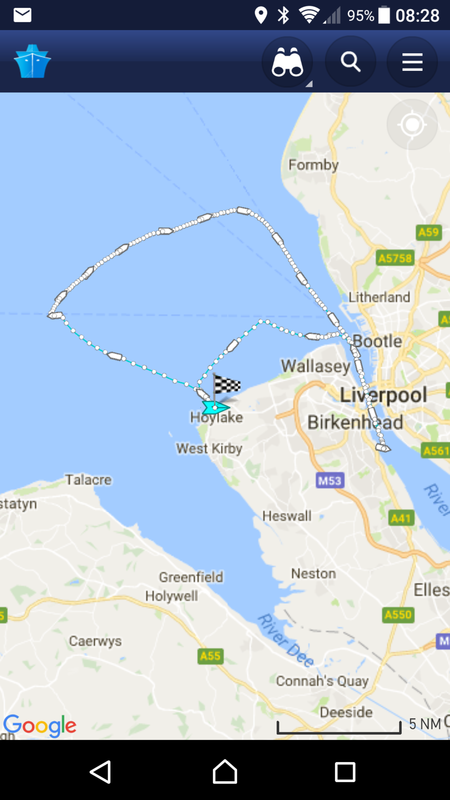 The hand over took place 7 miles northwest of Hoylake, where a member of Hoylake’s volunteer crew went aboard the powerboat to assist the casualties. 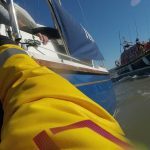 Hoylake lifeboat then continued the tow a further 19 miles, bringing the casualties to a safe mooring at Tranmere in the River Mersey. 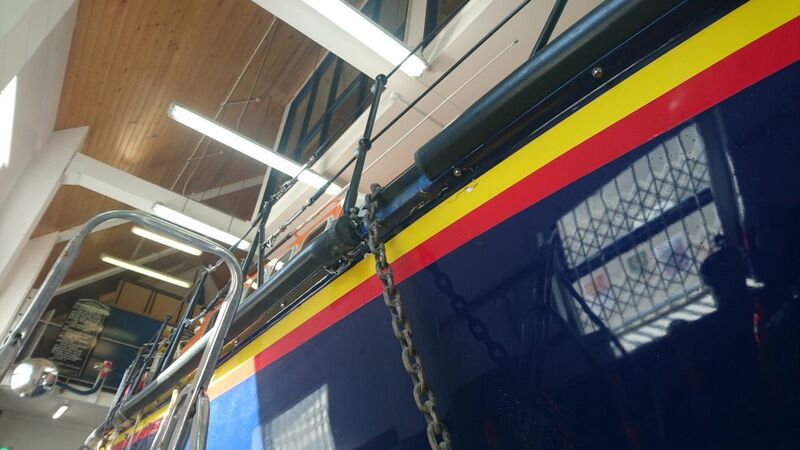 Rhyl lifeboat was returned to station by 1920 that evening and Hoylake lifeboat returned at 0030 next morning. 27/9/2018. 1153. The mechanic at the station was looking through the binoculars and noticed a 26-foot Westerly Centaur yacht come to a sudden stop, and the lone sailor trying to free a line from the back of the boat. 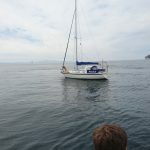 The yacht had inadvertently sailed over the buoys and pick-up line of a row of whelk pots, and had become fixed to the spot. 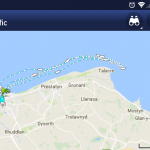 The skipper contacted the UK Coastguard at Holyhead to ask for assistance, who paged the Rhyl lifeboat crew to assist. 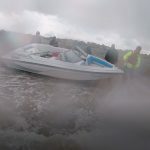 It was decided to launch the AWB, as the weather had deteriorated and the boat was being rocked about. 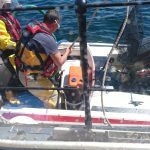 The crew were on scene within five minutes of launching, and the lifeboat was manoeuvred near to the yacht. 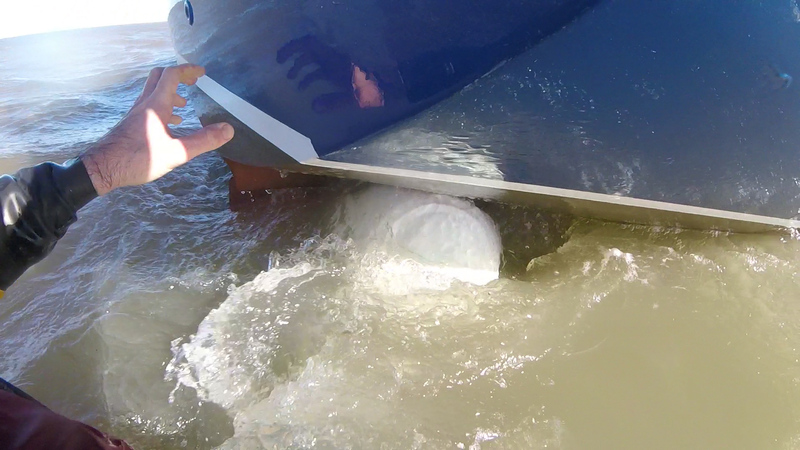 However, as the boat was tied at the stern, the yacht was lurching and it was difficult to get alongside. A crew member volunteered to go into the water and try to free the line. The lifeboat got close enough to the yacht, and the crew member swam the few yards to the yacht. After a few minutes the line was cut free, and the skipper then regained full control. 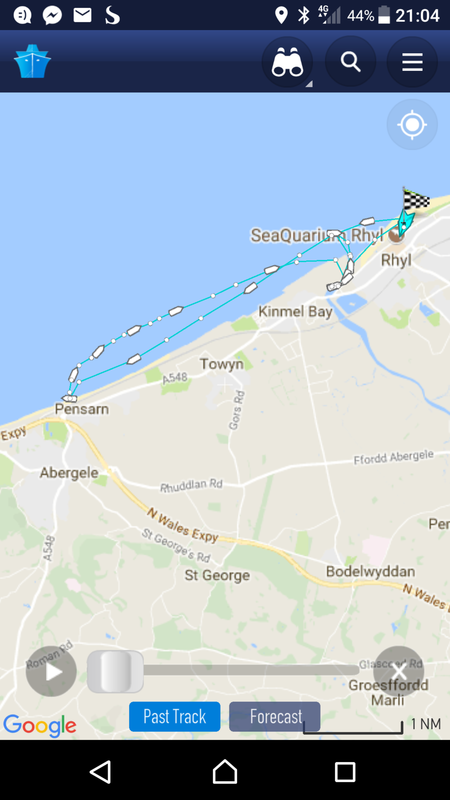 The lifeboat picked up the crew member and then escorted the yacht into Rhyl harbour, where it was safely moored. The lifeboat returned to station at 3.15pm, waiting in the harbour until there was sufficient beach to recover the lifeboat. 19/8/2018. 0001. 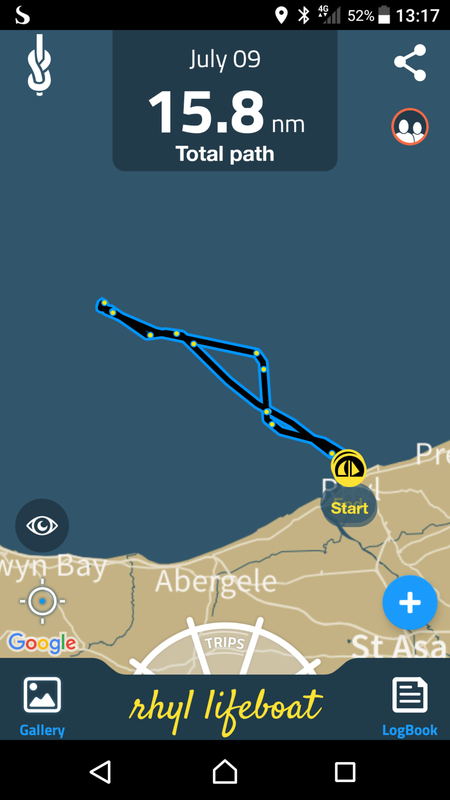 AWB requested by coastguard to assist ILB searching for reported person in the water off Splash Point Rhyl. As AWB got to the water’s edge at 0019, Holyhead Coastguard reported the person was found safe ashore, and all units were stood down. The AWB returned to station by 0028. Classed as a standby. 11/8/2018. 1156. Both boats paged after spoken word ‘Mayday’ was heard on VHF distress channel 16 very clearly. 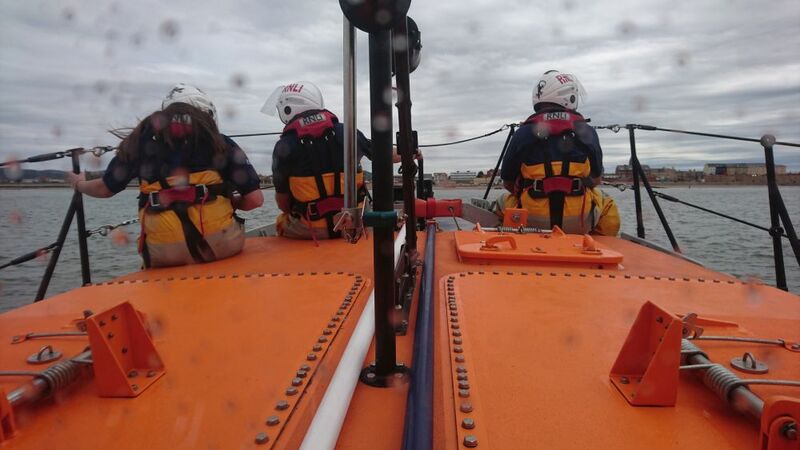 The crew were already at the station for the Open Day, and so both boats were launched within six minutes of being paged. 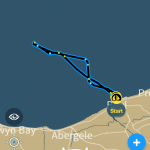 The coastguard requested the AWB search offshore between Pensarn beach and Prestatyn Barkby beach; and the ILB to search Rhyl harbour and close inshore between the same two points. Local coastguards, who were also attending the Open day, made enquiries on the Rhyl promenade area. The lifeboats searched for about two hours, investigating all craft within the search area, with no results. The search was the called off by UK coastguard, as nothing further had been heard on the distress channel. The lifeboats and coastguards then returned to the event at about 1415. 10/8/2018.1116. 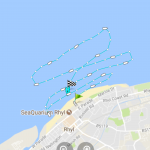 Both boats were launched after the UK coastguard at Holyhead received reports a speedboat had beached, at Golden gate camp, Towyn, with 2 people on board, and the occupants were having difficulty re-launching it. First on scene was the ILB. 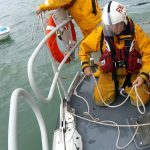 The crew managed to get a tow line attached, and were successful in towing the casualty boat out of the surf line. 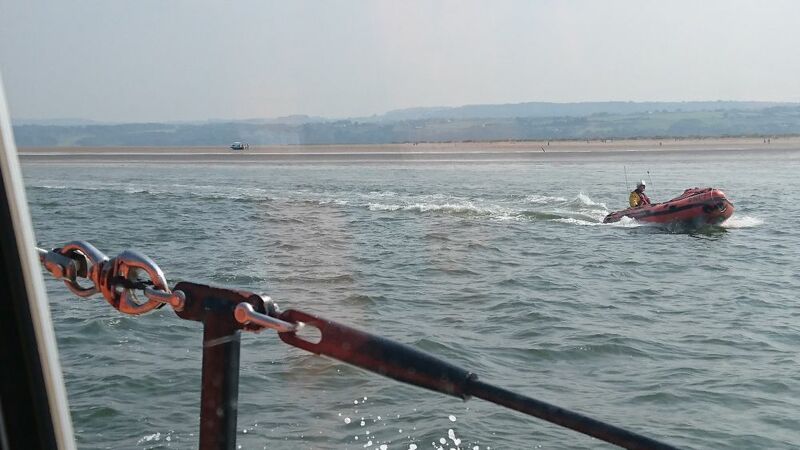 The tow was then passed to the AWB, and the boat was towed back to Rhyl harbour. 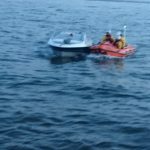 The occupants of the casualty vessel were driven to the harbour by the local coastguard volunteers, as it was deemed too rough for them to re-board the boat in the surf. 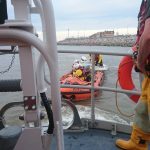 Once in the outer harbour at Rhyl, then inshore lifeboat crew then took over the tow to the harbour slipway, where the boat was recovered by harbour master staff. 6/8/18. 1200. 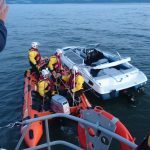 The AWB was paged to the Douglas gas and oil complex, over 12 miles out, to recover an unmanned 32-foot yacht which had broken free from its moorings in Red Wharf Bay, Anglesey the day before. The vessel was near to the rig and posed a danger to shipping. 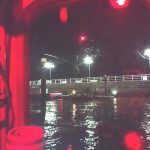 The support vessel Vos Inspirer had launched their daughter boat to prevent the yacht hitting the rig. 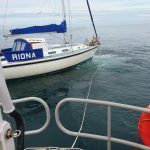 The AWB arrived an hour later, and took up the tow, Discussions with the UK coastguard at Holyhead resulted in the boat being towed back to Rhyl. 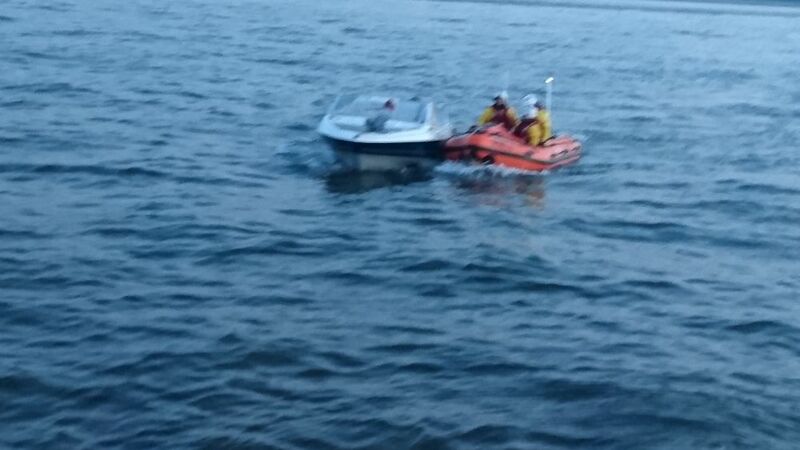 The owners were ferried out to the yacht by the ILB, and then motored their boat back to Deganwy Marina. The AWB returned to station by 1700. 10/7/2018. 1945. 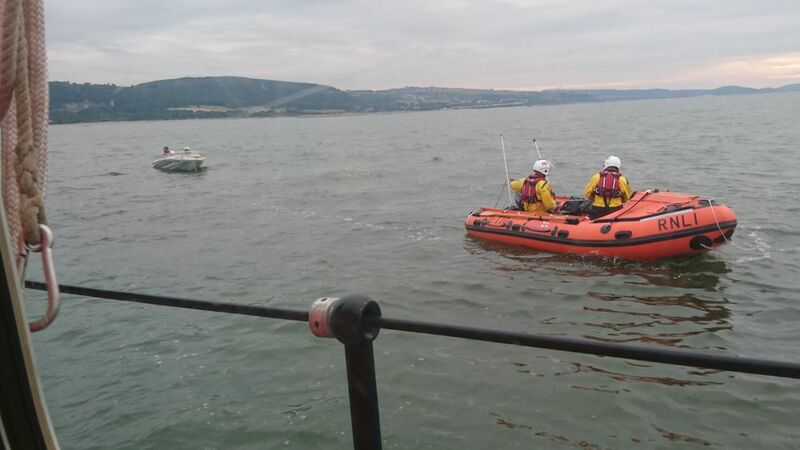 Both lifeboats were called to assist a man who had grounded his vessel after mechanical problems at Pensarn, Abergele. 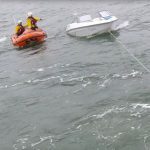 The inshore lifeboat was on scene first, and got a tow line to the vessel, and towed the boat away from the shore, where the all-weather lifeboat took over the tow. 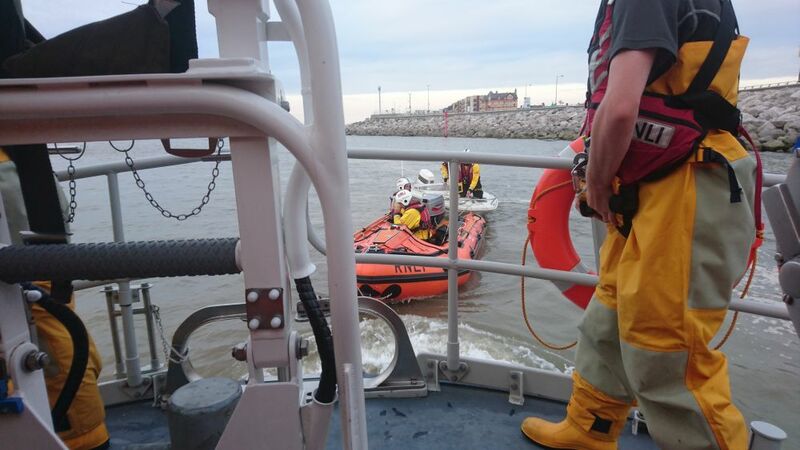 the boat and one passenger were taken back to Rhyl harbour, and the inshore lifeboat again took over the tow, and the casualty vessel was put back on it’s trailer at the harbour slipway, with the assistance of local coastguards. the lifeboats returned to station at 21.45. 9/07/2018.1108. 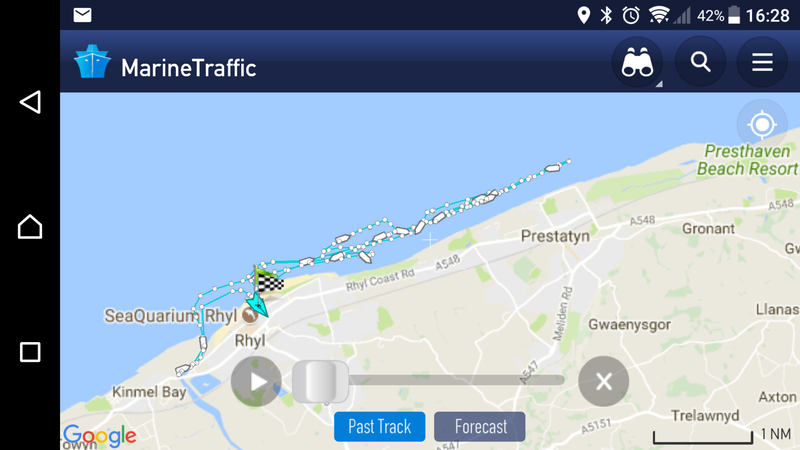 Rhyl AWB was paged to launch after numerous windfarm vessels reported an EPIRB (emergency position indicating radio beacon) alarm, possibly from the Rhyl Flats windfarm area. 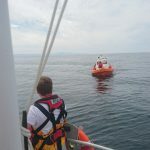 The lifeboat launched and detected the alarm on the direction-finding equipment, and by cross-referencing with the windfarm vessels, put the position of the beacon around tower 1 of the windfarm. There was a windfarm vessel near this tower, and technicians working on blade maintenance there. 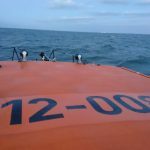 The skipper was communicated with and said he had heard the alarm. 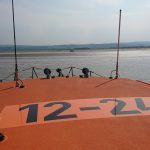 The lifeboat stood by the tower for over 20 minutes, but no further signals were detected. 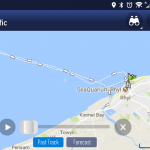 As there appeared to be no-one in trouble, and it was assumed that there had been an accidental triggering of a personal locator beacon near the site, the UK coastguard from Holyhead stood the boat down. 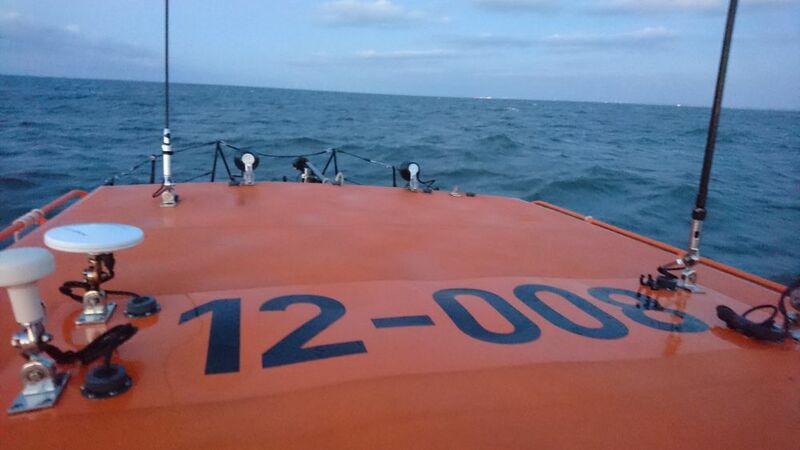 There were no further alarm triggers on the lifeboat’s return to station by 1400. Map shows route of AWB. 06/07/2018. AWB brought to immediate readiness for an alarm sounding under the helicopter deck of the offshore oil and gas rig at the Douglas Complex. 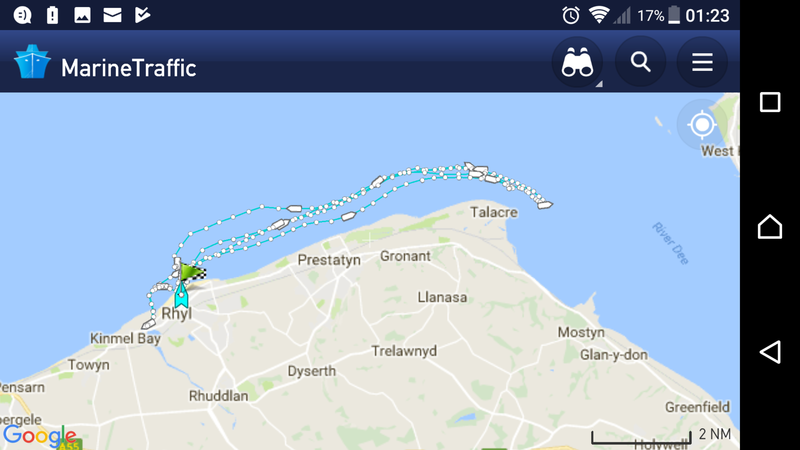 As the crew were assembling, UK coastguard at Holyhead reported the rig had reported a false alarm, and the AWB was stood down. Classed as a standby. 04/07/2018. The AWB sustained damage as a sliphook chain fouled the deck and hull on launching on service in the early hours of the morning. 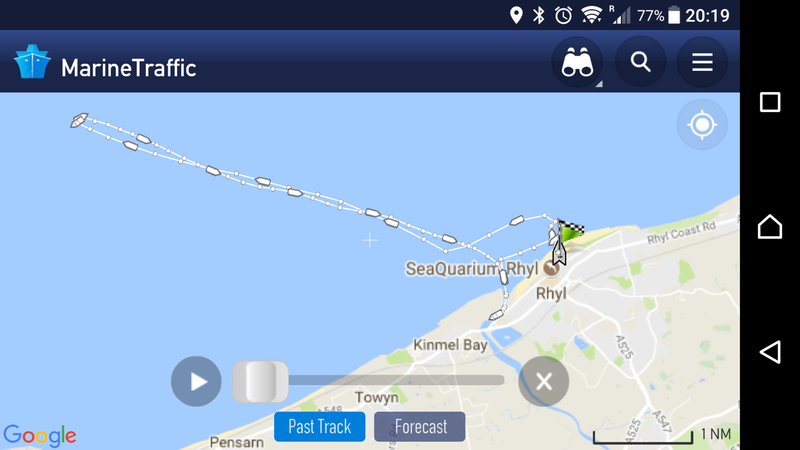 A crew took 12-24 (on1183) ‘Lil Cunningham’ to Conwy Marina, to transfer equipment and return with relief AWB ‘Lincolnshire Poacher 12-008 (ON1166, ex-Skegness) to provide relief duties at Rhyl whilst the lifeboat was repaired. Our boat will be away for a few weeks. 04/07/2018.0004. 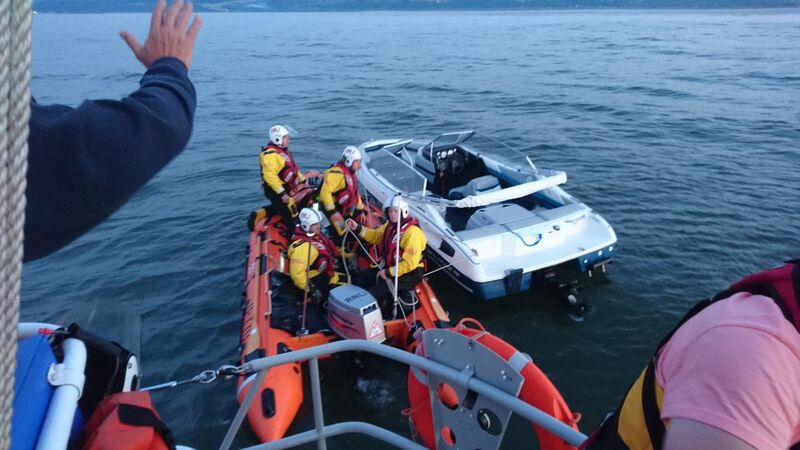 Both boats were launched to a 22-foot yacht with engine trouble, grounded on a sandbar off Pensarn, Abergele. Local coastguard team was also alerted. 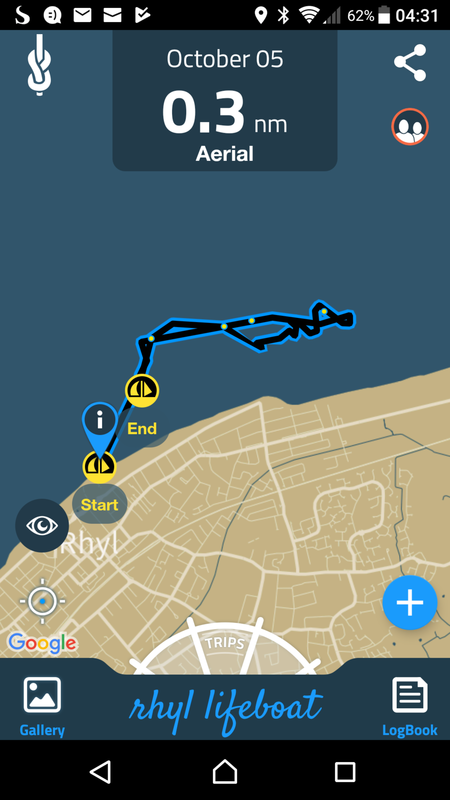 The ILB crew found the yacht on the beach at Golden sands Camp, Towyn, with one person on board. 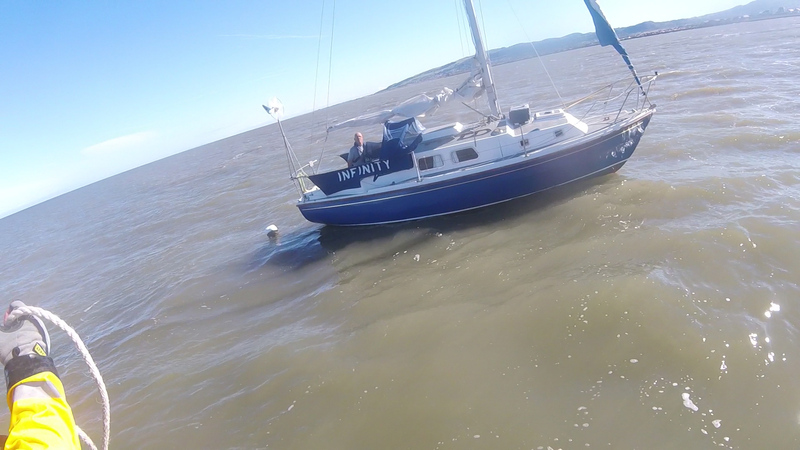 The casualty was quite cold and tired after trying to stop the yacht dragging it’s anchor, but had not been successful. 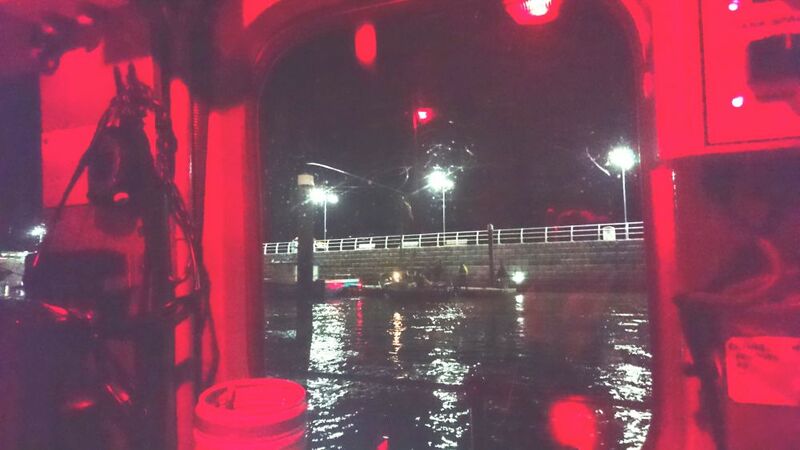 The ILB took the vessel in tow to deeper water, where the AWB took over. 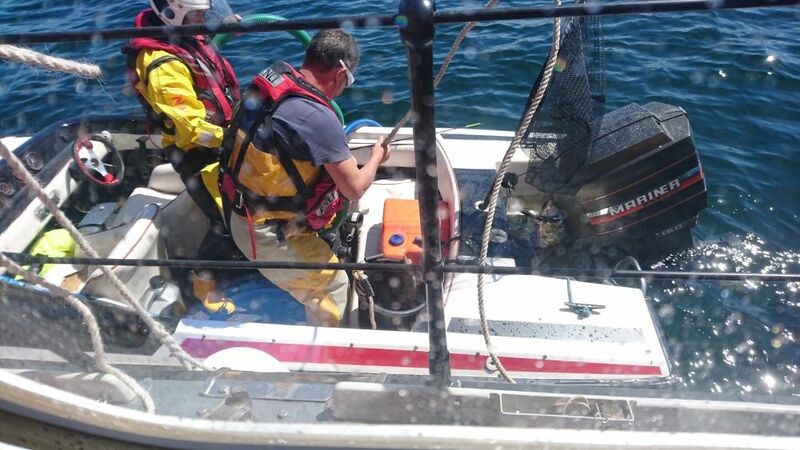 The casualty was transferred to the AWB and was given casualty care and warmed up in the wheelhouse. 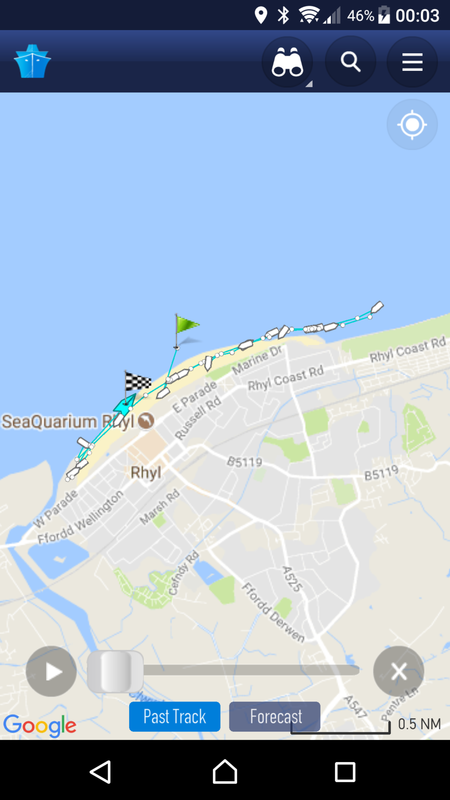 The yacht was successfully towed into Rhyl harbour, where the ILB took up the tow again to get the vessel to the pontoon to waiting coastguards. 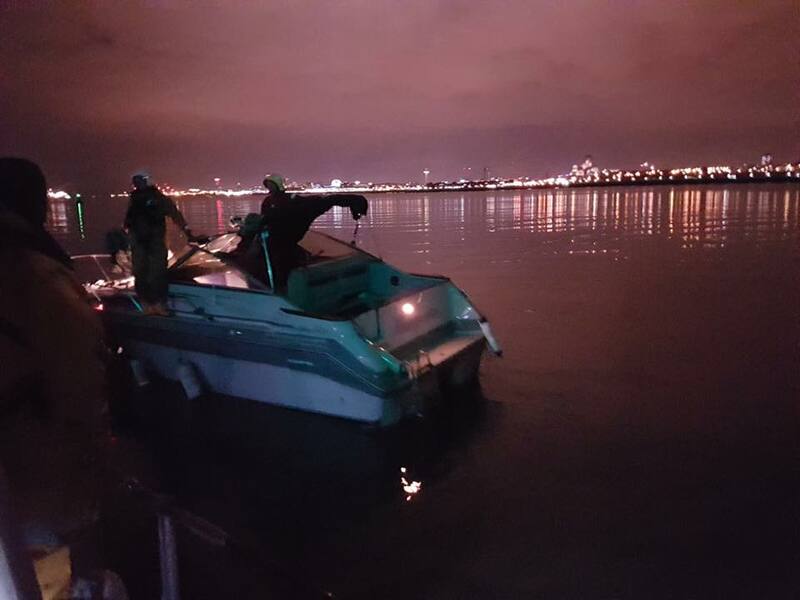 Once the casualty was transferred to the pontoon, both boats returned to station, being ready for service at 0245. The AWB sustained damage to the launching slip chains but this did not affect the service capability. 9/6/18. 1652. 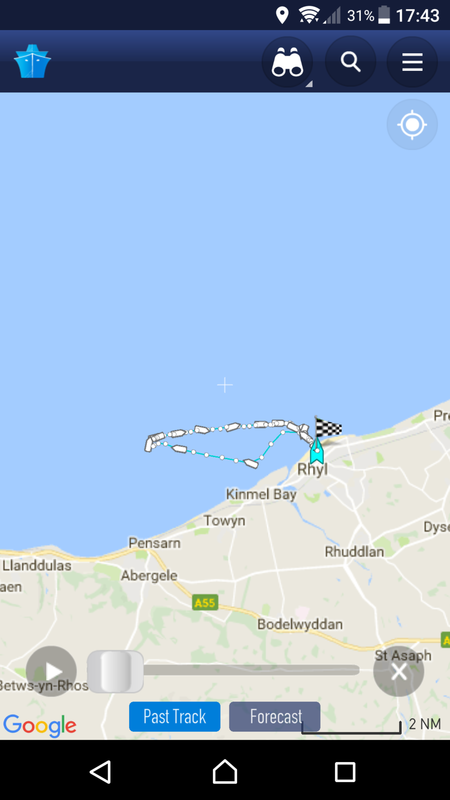 UK Coastguard at Holyhead requested the launch to aid a boat that had reported it had lost its propeller off the coast of Rhyl. 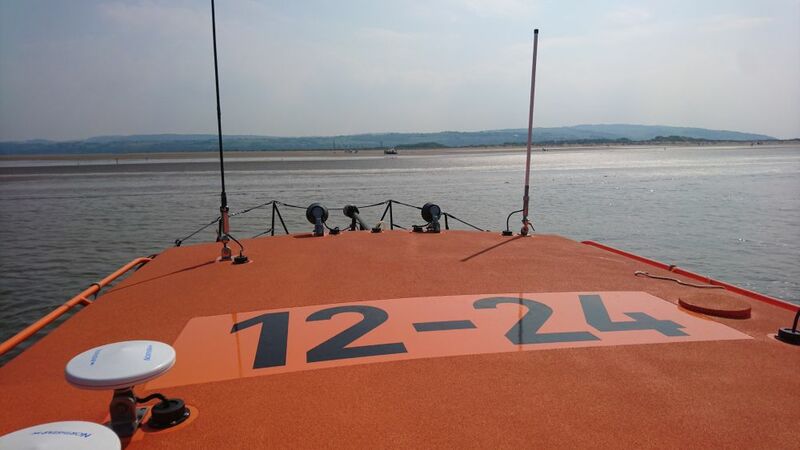 After a short search with intermittent radio communications the vessel was found at anchor just off Abergele. 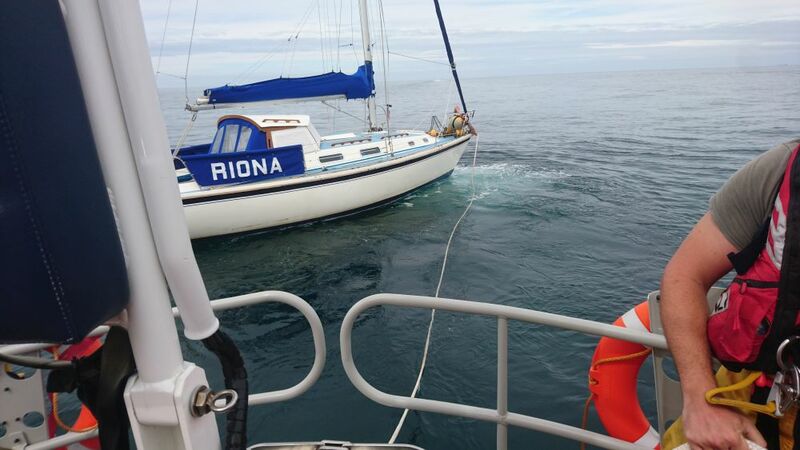 A crew member was put aboard the casualty to help recover the anchor and set up the tow. 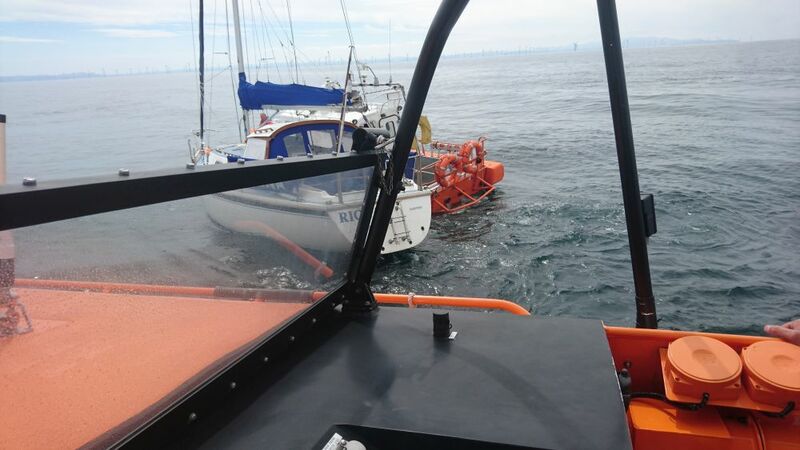 The boat was towed safety of Rhyl harbour where a berth was arranged and local fisherman helped moor the casualty up. The AWB then returned to the station and was ready for service by 7:30pm. 28/5/2018. 1429. 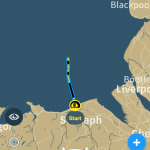 AWB and ILB pagers activated to search for an overdue 21-ft speedboat with 2 persons on board, overdue coming back from Liverpool to see the tall ships. 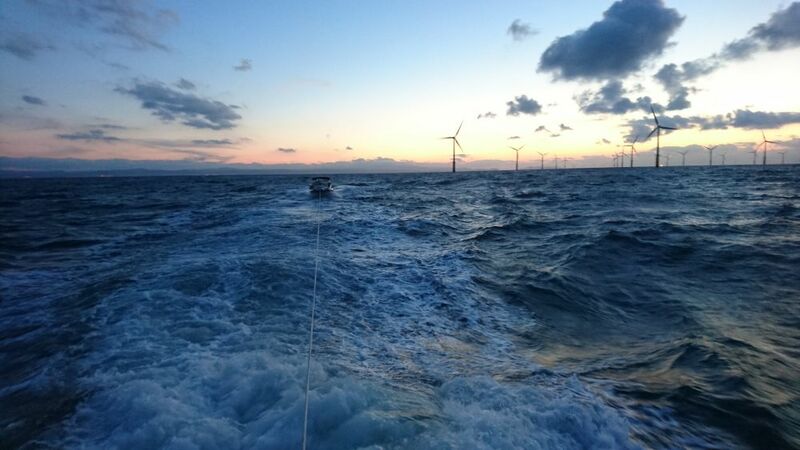 As the boats were launching, news came via the coastguard the vessel was aground near Talacre. 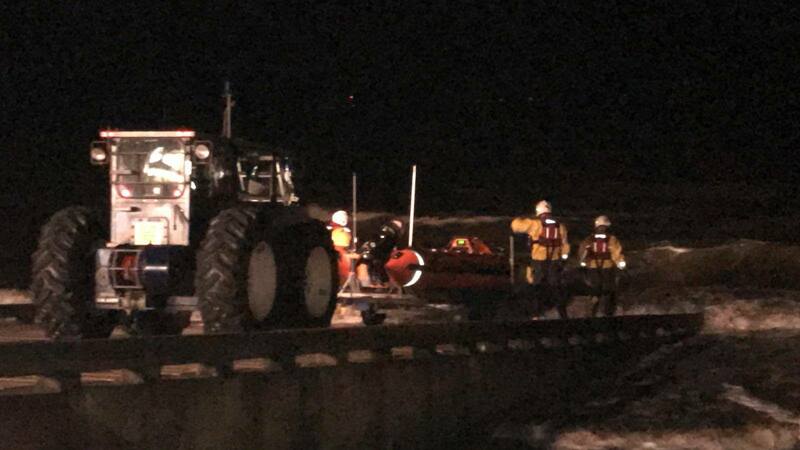 The 2 lifeboats made their way there, but when they got to the location (about half a mile East of the lighthouse) it was obvious that the boat was high and dry and would only refloat when the tide came in about 9pm. 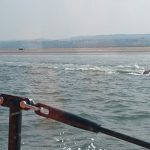 The boat’s anchor was re-positioned to stop any drift with the incoming tide, as the boat would end up in the busy channel in the approaches to Mostyn Port. 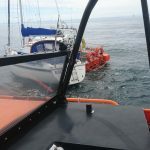 The vessel had sustained engine trouble on beaching, and so could not return to Rhyl, so the Coxswain in conjunction with the owner and the station manager, agreed to return on the flood tide. 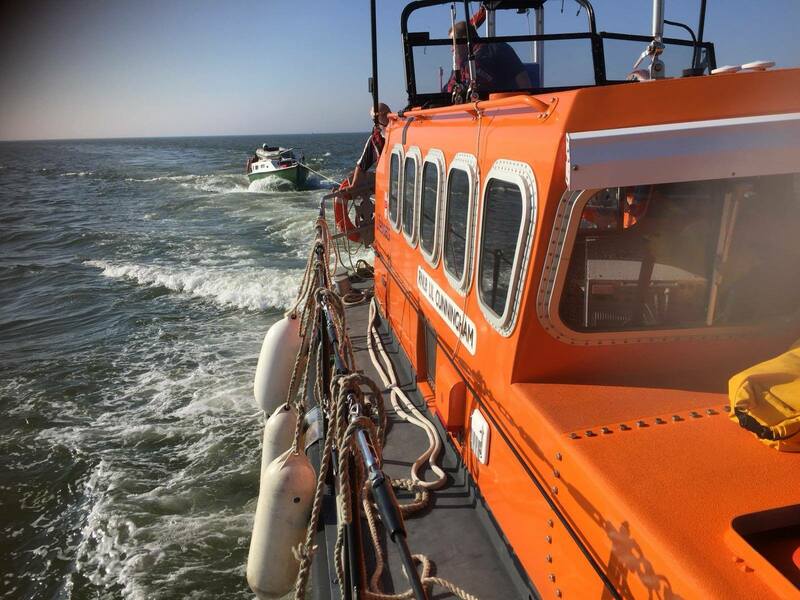 Both lifeboats returned to station by 1715. …………………..2030. Both boats relaunched to the initial casualty to find it just floating in a gulley. 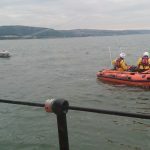 A tow line was attached by the ILB and the boat was towed out to the AWB. 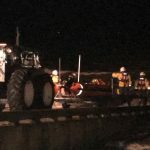 The 2 casualties were transferred to the lifeboat and the vessel was towed back to Rhyl, arriving just before midnight. 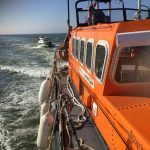 The ILB again took over the tow to get the vessel under the harbour footbridge, and returned the boat to the yacht club slipway to local coastguards. 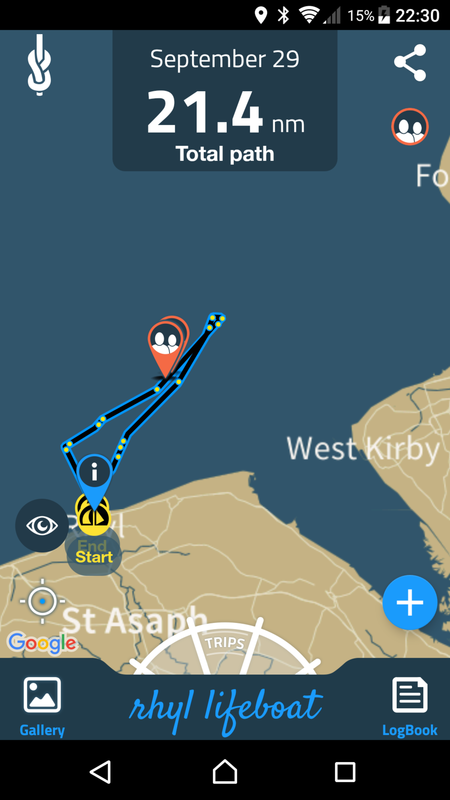 Both vessels returned to station , being ready for service at 0140 the next morning. 20/5/2018. 2118. 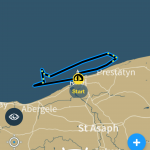 The ILB; and the AWB at 2150, were launched to help in a shoreline search between Rhyl and Barkby Beach Prestatyn, in conjunction with coastguards, Police on the ground and in the air. 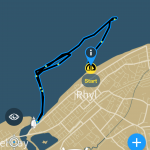 This followed a police incident near Rhyl Golf Club where a male was taken into custody, and a search was started for another male who was with him. 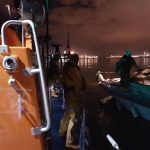 All units searched for three hours until the police said all maritime units could stand down, the lifeboats returning to station at 0020 the next morning. Picture shows the track of the AWB. 13/5/2018.1304. 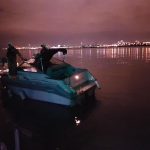 The two men, on a fishing trip with their dogs in an 18-foot speedboat, realised their boat was taking in water after their engine broke down and the battery was flat, so rendering their bilge pump unworkable. The men did not have a radio to contact the coastguard, but were able to contact the UK coastguard at Holyhead by mobile phone. The coastguard immediately paged Rhyl AWB crew who prepared the lifeboat to be ready for launch. 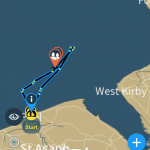 The initial position given by the men , of off Kinmel Bay, was found to be inaccurate, and the boat was eventually found some four miles to the North-East, due to the wind and tide. 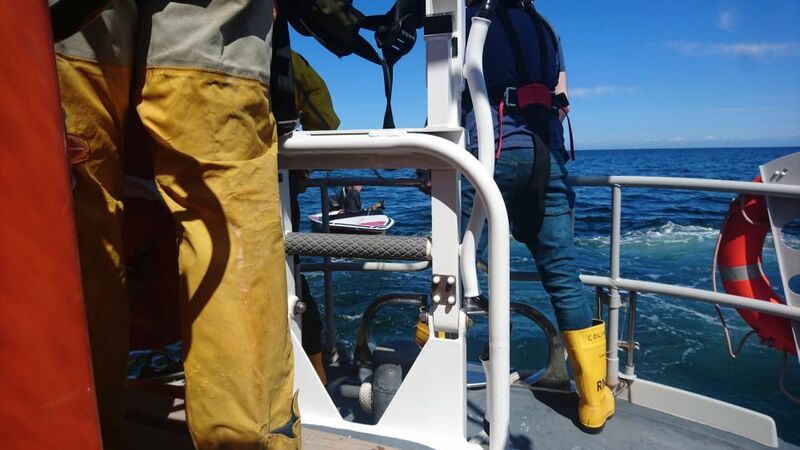 The lifeboat crew were able to locate the vessel visually, and were alongside soon afterwards. 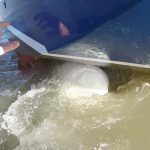 The back of the boat was low in the water, and the outboard engine compartment was full of water. 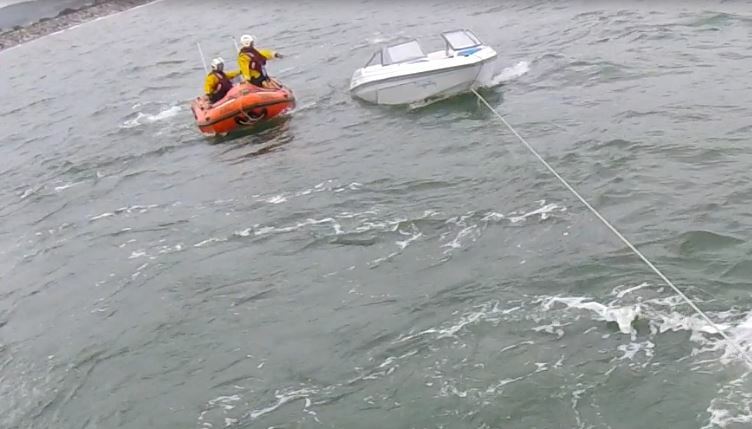 A tow was established and crew members were transferred from the lifeboat to the vessel to help with this. The men and the two dogs were taken on board the lifeboat. It soon became clear the vessel was shipping more water, and so the lifeboat’s salvage pump was transferred and soon helped to keep the ingress of water to a manageable level whilst the tow was re-established. 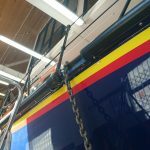 As the tide was out at Rhyl, local volunteer coastguards retrieved the men’s trailer from the harbour yard, and brought it to the lifeboat station, where the boat was recovered. The men were then taken back by road by the coastguards, with their boat, to their car.The men were safe and well, as well as the dogs, after their rescue. Some safety advice was given by the local coastguard volunteers as to what radio equipment and location devices were available to locate their position more accurately in the future. 7/5/2018. 1649. 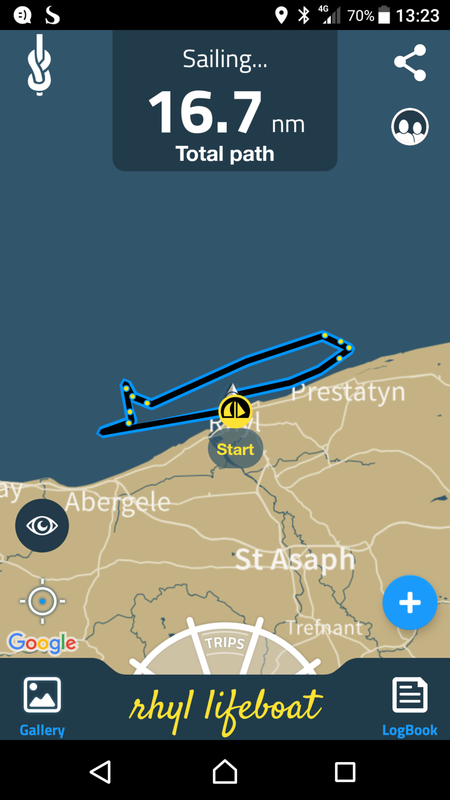 The ILB was launched, and the AWB brought to immediate readiness, after the UK coastguard coordinating centre in Holyhead received a 999 call from a lady at Talacre, saying her 4 year-old daughter had gone missing, last seen in the sea. 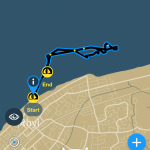 The ILB launched and had travelled about half-way to the area (8 miles away), when the lady again dialled 999 and said her child had been found safe and well. 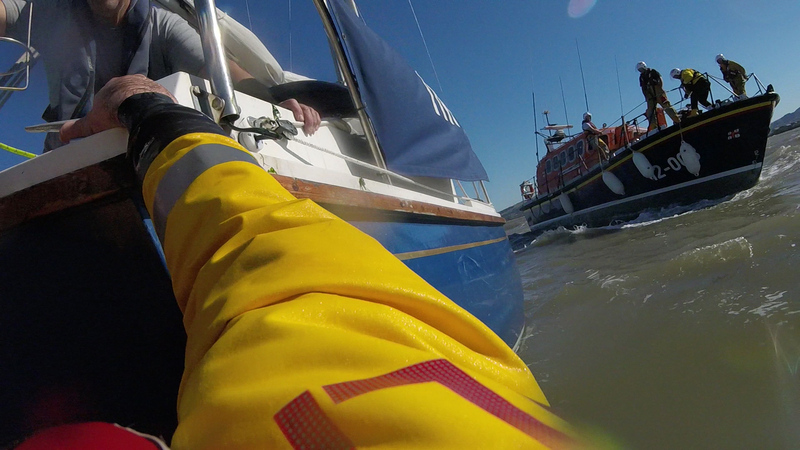 Both boats were stood down, the ILB returning at 1740. 30/3/2018. 2150. North Wales Police informed the UK Coastguard Co-ordinating centre in Holyhead, that clothes had been found on Rhyl beach, opposite the Pavilion Theatre. 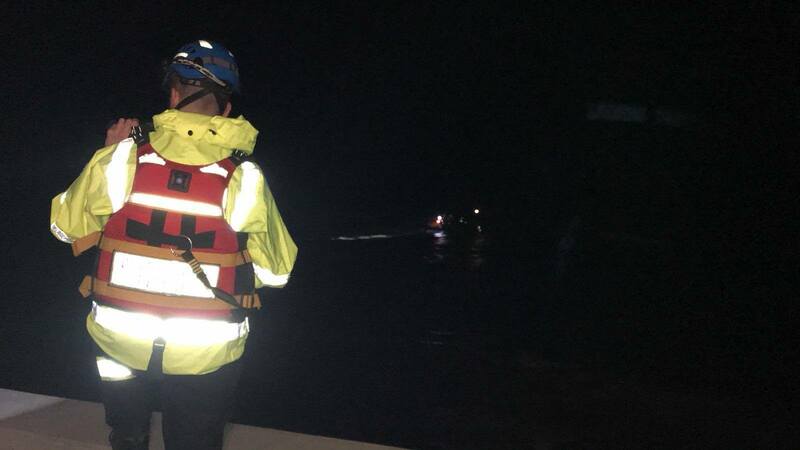 Local coastguard teams were paged, but it soon became clear due to the tide and sea conditions, that extra resources would be required to carry out a shoreline search. A jacket had been found on the beach and it was unclear where the owner had gone to. 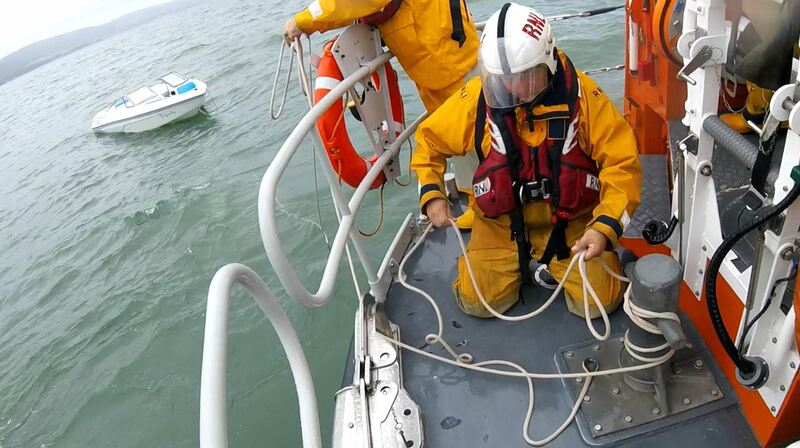 Both the inshore, and all-weather lifeboat were launched, this being the first launch for the all-weather boat. Other items of clothing were found by the coastguards further down the beach, but wee not directly associated with the initial find. 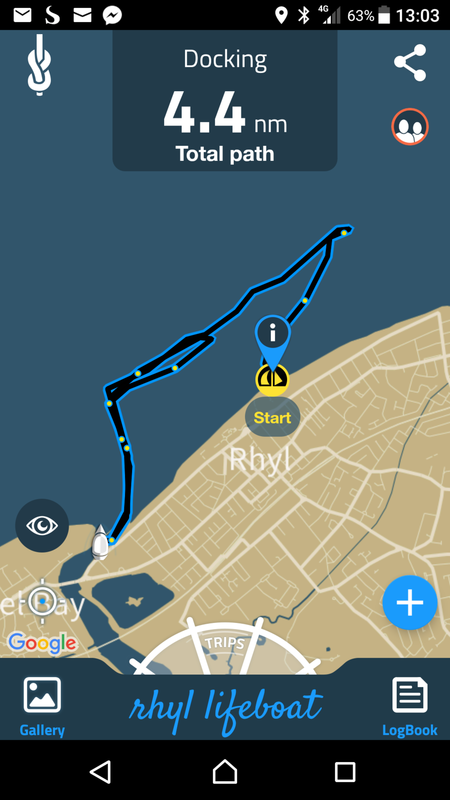 The area between Rhyl Harbour and Garford road past Splash Point were thoroughly searched using searchlights and parachute flares to illuminate the area, but nothing was found. 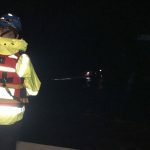 After nearly two hours of searching, nothing had been found, and as no-one was reported missing from the area, the search was called off with a possible extra check in daylight the following day. 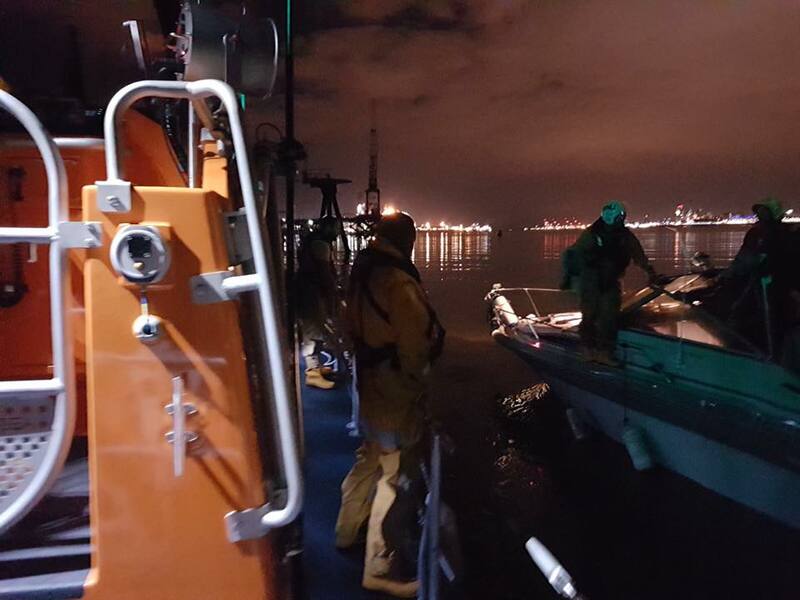 The lifeboats returned to station at just after midnight on Saturday. Photos courtesy of Ian Olsen, Station Officer at Rhyl coastguard.